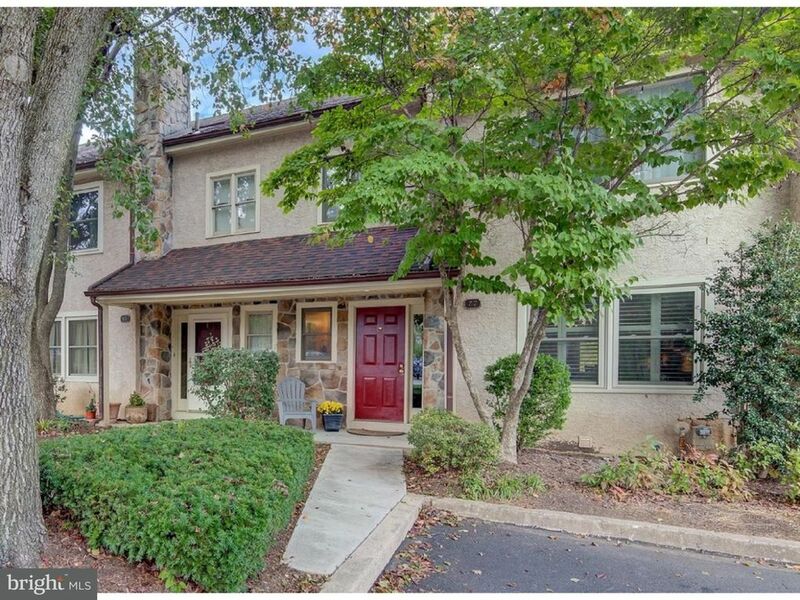 Don't miss this expansive 3-4 BD, 2/1 BA townhouse in a very quiet location in the convenient Chesterbrook community in top-ranked Tredyffrin-Easttown school district. This home backs to open space and trails and is located far from the Turnpike & Rte 202. It features neutral tones and an unusually spacious floor plan, with a large eat-in Kitchen that offers open views of the Family Room with wood-burning fireplace. Plus it has a Living Room with 2nd fireplace, Dining Room with sliders to a large deck, Powder Room, and a large coat closet. The eat-in Kitchen features stainless appliances, wood cabinets, neutral counters, and enough room to place a table or island. The daylight, walk-out lower level has a huge finished Rec Room with two windows and sliders to the rear patio & grassy lawn, plus a large unfinished Storage Room with Laundry Area, and a separate Workshop. The 2nd floor has a Master BD with oversized walk-in closet with upgraded custom closet organizers, Master BA with double vanity, neutral tile, tub, and a separate shower stall, plus two spacious hall BD, Linen closet, and a hall BA. There is also a large closet in the 2nd floor Hallway which could be turned into a 2nd floor Laundry area. Upstairs, a 3rd floor Loft is brightened by 3 skylights and has a supplemental A/C system to make it comfortable year-round. This room has a large walk-in closet and is ideal for a Playroom, Office, or 4th BD. Other upgrades incl. a new hot water heater, stainless dishwasher, and newer Lennox gas heater (2006). The Bradford Hills community is condo-style ownership, so the association maintains the exterior (incl. roof, decks, snow removal, & more.) Bright and cheerful, you'll enjoy 4 levels of living space (making it more spacious than many single family homes) and have more time for relaxing since there is minimal outside maintenance. Two parking spaces, plus guest parking, in the spacious courtyard parking area eliminates juggling cars in a narrow driveway. Located near renowned schools, this home is close to parks, Picket Post Swim/Racquet Club, trails, shopping, corporate centers, Center City, and the Airport.